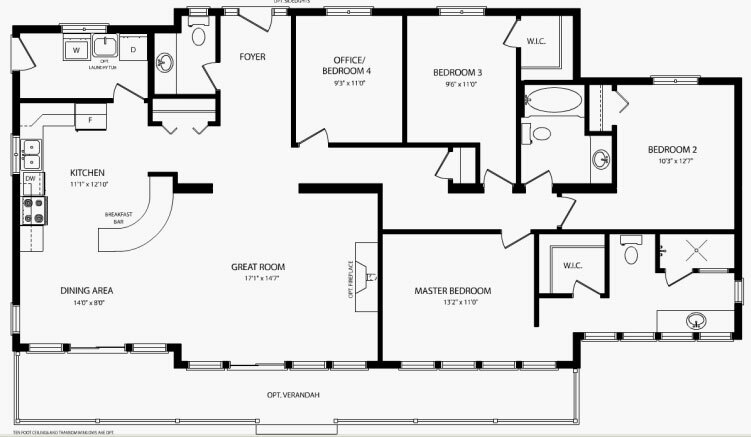 The Buckhorn is a large, four bedroom vacation home. The optional verandah, that runs the length of the home, will ensure you make the most of the great outdoors. 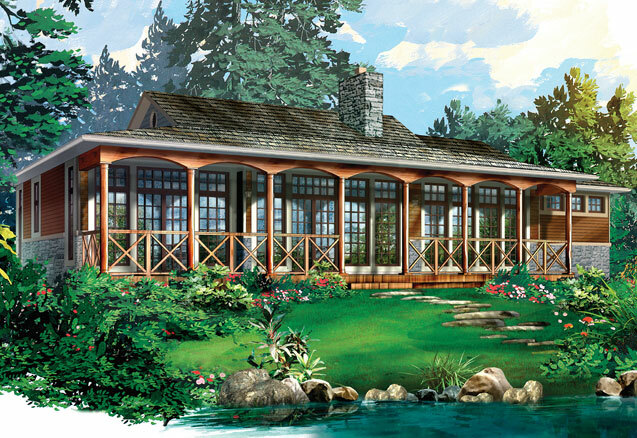 The cottage’s numerous windows offer perfect vantage points for lakefront or wooded lots. The Buckhorn’s large open kitchen with breakfast bar blends into the dining room and great room creating a seamless, continuous space for entertaining. The laundry room is conveniently located at the back of the home with its own separate entrance.